Pratap Padode, Founder & Director, Smart Cities Council India said, "The smart cities challenge has established the commitment of the government to the smart cities mission through the transparent and timely process that it has followed." Indian government has unveiled the list of 20 smart cities that will be the first to receive funds among the 100 cities listed by the Modi government. The 20 smart cities are Bhuvneshwar, Pune, Jaipur, Surat, Cochin, Ahmedabad, Jabalpur, Vishakapatnam, Sholapur, Dhavangiri, Indore, NDMC, Coimbatore, Kakinada, Belgaum, Udaipur, Guwahati, Chennai, Ludhiana & Bhopal. Pratap Padode, Founder & Director, Smart Cities Council India said, "The smart cities challenge has established the commitment of the government to the smart cities mission through the transparent and timely process that it has followed. This will be the beginning a new wave in urbanisation of India. As against the central assistance of only Rs.36,000 cr during the 10 years of JNNURM, centre is providing about Rs.3.00 lakh crore under various new urban initiatives. The 98 cities selected under Smart City Mission have a population of about 13 crore accounting for over 35% of the country’s urban population while the citizens which have participated in voting for the plans are 15.2 million which is 12% of the population of the 97 smart cities, a huge engagement for this exercise. Of the results announced Madhya Pradesh has seen the best performance followed by Andhra Pradesh and then by Rajasthan. Both Madhya Pradesh and Rajasthan were considered part of the BIMARU states indicating their state of underdevelopment. 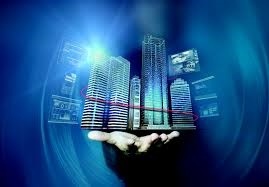 Now the list has indicated that for Madhya Pradesh, three of the four cities qualifying for smart cities mission have been selected, while Andhra which is a start-up state has won two of the three cities submitted for the challenge and Rajasthan has secured two out of the four cities submitted. Funds for the winning cities would be made available by the year end which would mean that the winning cities would be undergoing request for proposals (RFP) discussions and will plan tenders in the third quarter of fiscal 2016-17. The twenty states and union territories which have been completely missed out need to go to the drawing board and tweak their plans to secure themselves a seat on this mission."